Audiomasters, your first choice in car stereo and home theater. Come by and see how we can help you with all your audio and video needs. We are open Monday through Thursday 8:30-7, Friday 8:30-Sundown. We are now closed Saturdays. Or Call us @ 615-896-0343! 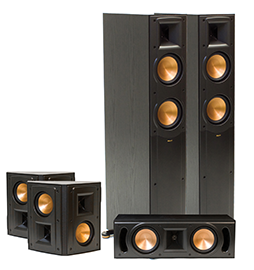 We carry top of the line audio equipment including JL Audio, Alpine, Clarion, Memphis Audio. Our Home Audio products range from professional series components for your studio to great sounding home theaters. Our Design Team can make your dream a reality. Whether it be a custom sub box for your car or truck to an all encompassing cinema experience for your home. I really appreciate the professional way they took care of my baby. She has never sounded so good. Now my neighbors come over to watch DVDs on my TV. So be careful who you show your speakers to. Overall a great experience and I plan on visiting them again. The best work I’ve ever had done the installer was very willing to answer questions and took the time to explain how everything works very satisfied will defiantly use them in the future. These guys are extremely knowledgeable and good at what they do. They installed a JL Audio system in my FJ Cruiser. Top-notch installation by Patrick, who took the time to answer questions and tune the system properly. He did everything I asked and was professional. I will definitely be back and will recommend them to friends. Thanks Again! Thanks for making us feel like family and for having the Klipsch speakers we were looking for! 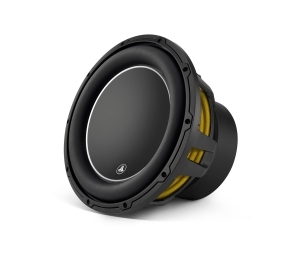 Looking for the best sound in your ride? We carry the best in car stereo around, with brands like JL Audio, Alpine, Clarion, Memphis Audio, and Sony, Axxera, and Dual. We have been helping people in the Mid South region since 1967 get the best audio experience in their ride at the best prices around. Got some gear but don’t know how to properly install it? Bring it down to us and we can make sure everything is done to factory specifications. Learn More! We live home theater. We are ready to give you the best cinematic audio experience you have ever had in your own home. Getting the family together on movie night never looked or sounded so good. We have been bringing great home theater to Murfreesboro since 1992. We carry awesome brands like Paradigm, Klipsch, Yamaha, Denon, Sherwood, BIC, Elan, and Sonance. Learn More! Damaged records breed more damage, including damage to your needle and the sound. If you are using turntables to produce a better, more dynamic sound, what is the point of using a damaged record, right? Use a high quality cleaner, like “Discwasher,” to clean your device. The kit will last forever, and it will help maintain the lifespan and quality of your turntables. Try to clean your records every month or so. Using a soft brush, like a women’s blush brush, gently clean your needle to keep build up from damaging the sound quality or records. First off, use your turntables! If you do not use them as often as you would like, run the device overnight every now and then to keep it from sitting dormant, which can cause damage. Also, keep them in a climate controlled environment. If you are comfortable, so are your turntables. Also it does not cost anything to let them run 24/7, most tables use very little electricity. A good tune-up, like for a car, is great for turntables. Take your turntables over to Audiomasters or a professional near you to make sure everything is in good condition. You can upgrade your cartridge and needle to produce even higher quality sound. You would be blown away at the difference between a $40 and $100 cartridge!